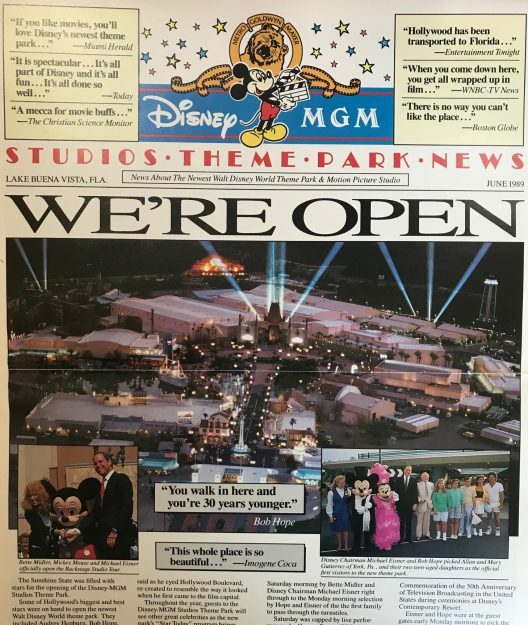 One could compare the opening of the Disney-MGM Studios theme park on May 1, 1989, to a movie that gets very little “buzz” before its release, but then turns out to be a box office sensation. Originally, the Disney-MGM Studios (now known as Disney’s Hollywood Studios) was conceived as just a new attraction in Epcot’s Future World. 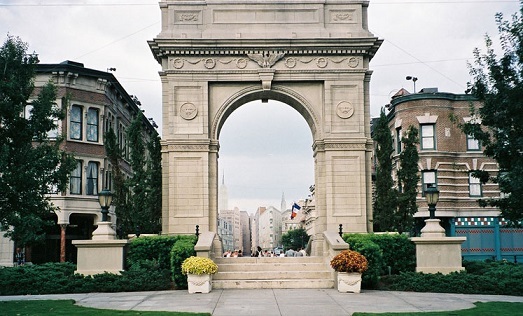 After much debate, Disney’s planners broadened their horizons and decided to create a new park – albeit a park with a limited number of attractions – based on the world of movie and television production. The thinking was, once guests were done at the Studios, usually in a few hours, they could then head over to the Magic Kingdom or Epcot for the rest of the day. But that plan failed miserably … to the delight of Disney fans around the world. And 30 years later, Hollywood Studios is firmly entrenched in the Disney parks firmament, even as it undergoes a massive, years-long overhaul, that will culminate later this year with the opening of an entire land devoted to Star Wars. The Walt Disney Company was no stranger to building movie production studios. In fact, Walt himself was the guiding force behind two Disney animation facilities. The first, built in the mid-1920s, was located on Hyperion Avenue in the Silver Lake section of Los Angeles, Calif. It was in those cramped Hyperion Studios where Walt and Roy Disney poured the foundation for what was to come. Hyperion was the place where the Mickey Mouse short films, the Silly Symphonies series and the breakthrough Snow White and the Seven Dwarfs full-length animated feature were crafted by Disney’s small, but dedicated staff. The Walt Disney Animation Studios in Burbank, California. With the profits generated by Snow White, Walt was able to design the studio of his dreams on a 51-acre plot in nearby Burbank, Calif.
Walt took all that he had learned at Hyperion and molded those ideas into a state-of-the-art animation facility, where the company flourished. Although there were major bumps in the road, most notably the advent of World War II and a crippling labor dispute, the company strung together one hit animated film after another out of the Burbank studio. But during the early 1950s, Walt sought new worlds to conquer, first by dabbling in the uncharted waters of television, then by producing live-action films, and finally, by creating Disneyland, the world’s first major theme park. Emboldened by the success of Disneyland, Walt decided to take his show east, and with the opening of Walt Disney World in Florida in 1971 some five years after Walt’s death, Disney theme parks became a coast-to-coast operation. The first germ of an idea for a Disney theme park based on movie and TV production came in the mid-1980s. Marty Sklar, Walt Disney Imagineering’s creative leader at the time, said that after the opening of Epcot, WDW’s second theme park, his team revisited Epcot’s core mission of highlighting American business advancements and found there was one glaring omission: Entertainment. 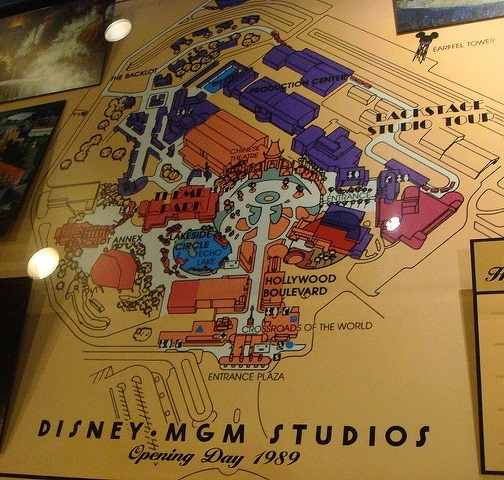 A map of the Disney-MGM Studios from 1989. “When Epcot opened in October of 1982, our creative team at Imagineering began an analysis of stories and subjects we felt were missing from the Future World area,” Sklar said several years ago. At this point, Sklar and his team began looking into the possibility of developing an entertainment pavilion for Epcot. Inside the pavilion would be an attraction delving into the movies, television and radio. This three-pronged approach would highlight great moments in the movies, a production which showcased the hectic world of a working television studio, and a radio attraction that put an emphasis on sound and special effects. In 1984, after the management team of Michael Eisner, Frank Wells and Jeffrey Katzenberg assumed their posts in Disney’s hierarchy, they were shown the early concepts for the entertainment pavilion and added their own twist. Why not place it outside but immediately adjacent to Epcot and make it a separate experience? Their original concepts called for a half-day, entertainment-based park. A “newspaper” for cast members covered the Disney-MGM Studios’ opening day. There was another factor that came into play which helped accelerate the development of the Disney studios park: Competition. “When Universal Studios announced that they were going to build a studio park in central Florida based on their Hollywood attraction, whose major appeal was its tour of actual movie sets, our concept assumed a life of its own,” Sklar added. The competition quickly became a race to the finish. The half-day park idea was scrapped in favor of a full-size park, but thanks to the fact that Disney had a solid head start in design and concept, the Disney-MGM Studios opened about a year ahead of Universal Studios. MGM’s opening-day lineup was sparse, to say the least, in large part because new shows and attractions were still in development. 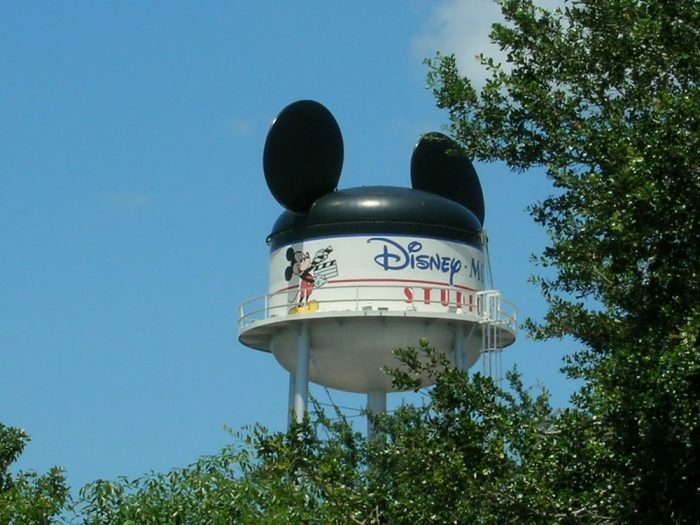 The Earffel Tower has been an icon of the Disney-MGM Studios since opening day in 1989. Like the Magic Kingdom, a short walk from MGM’s ticket booths put guests on a main street … in the case of the Disney studios, a 1930s interpretation of Hollywood Boulevard, glistening in all of its Art Deco finery and accented by tall palm trees. It was a vision of the Hollywood that never actually existed, but was nonetheless firmly entrenched in everyone’s mind. At the end of the thoroughfare, there was a familiar structure beckoning. The Great Movie Ride, enclosed in a building that resembled the exterior of L.A.’s fabled Grauman’s Chinese Theatre, was the park’s featured attraction. Other opening-day attractions included SuperStar Television, the Monster Sound Show, The Magic of Disney Animation, the Backlot Studio Tour and Theater of the Stars. Later in 1989, the Indiana Jones Epic Stunt Spectacular! and Star Tours would swing open their doors on August 25 and December 15, respectively. In the years that followed, Honey, I Shrunk the Kids Movie Set Adventure (Dec. 17, 1990), Muppet*Vision 3D (May 16, 1991), Beauty and the Beast Live on Stage (Nov. 22, 1991), and Voyage of the Little Mermaid (Jan. 7, 1992) joined the Disney-MGM fold. But as the park evolved, so, too, did guests’ desire for more thrilling attractions. On July 22, 1994, those demands were met with the opening of The Twilight Zone Tower of Terror. During those early years, the Backlot Studio Tour was the bread and butter of the park: It gave guests an in-depth look at the goings on behind the scenes, from costuming, to set shops, to sound stages to backlots and post-production. And if you were lucky, you could watch as an actual TV show was being filmed. 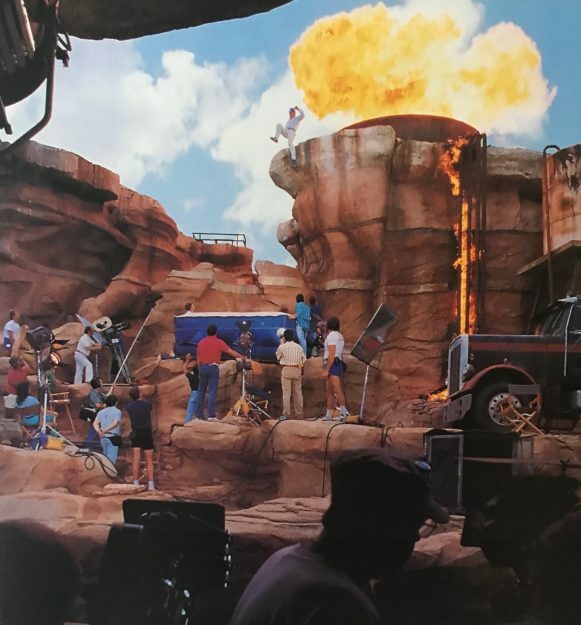 The tour also included a trip to Catastrophe Canyon, where seemingly safe passengers aboard a studio tram narrowly escaped a “natural” disaster unleashed every half hour from cascading water, bursts of fire and the imminent danger presented by a wobbling, flaming gasoline truck. The park’s opening weekend started on Saturday, April 29. 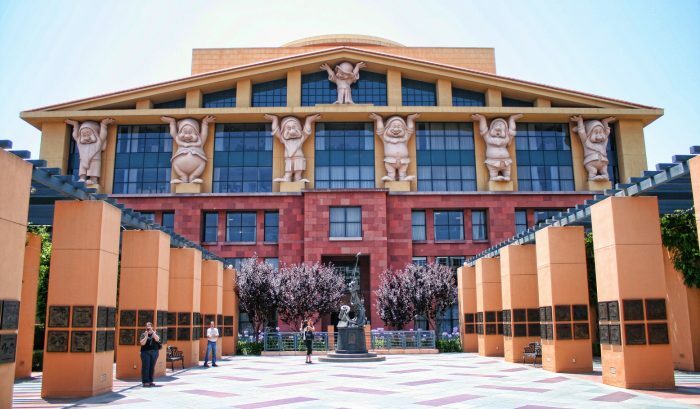 Official ceremonies, presided over by singer/actress Bette Midler and then-Disney CEO Michael Eisner, saw the dedication of the Backstage Studio Tour. That night, a group of Hollywood legends performed. The lineup included George Burns, Willie Nelson and the Pointer Sisters. Later that night, Disney put on an entertainment extravaganza, with more that 800 singers and dancers participating. It was all topped off with fireworks. The following night at the Contemporary Resort, Disney celebrated the 50th anniversary of broadcast television. Taking part in the festivities were TV legends Art Linkletter, Imogene Coca, Buffalo Bob Smith, Rose Marie, Morey Amsterdam, Annette Funicello and Edie Adams. The park officially opened on Monday, May 1. Michael Eisner and Bob Hope were at the main gate to pick the official “first visitors” from among the hundreds of people who had been camped out all night. They chose the Gutierrez family from York, Pa., for the honors. That family, as well as the thousands who streamed into the park that day, was greeted by glitz, glamour and glaring empty spaces where future attractions would be placed as Disney struggled to catch up and make the park a full-day experience. Why was it called the Disney-MGM Studios? As the idea of a Disney studios park gained momentum, there was an obvious problem: What to call it? Disney’s management team of Michael Eisner and Frank Wells had previously worked for major motion picture studios (Eisner at Paramount and Wells at Warner Brothers). It was Eisner who thought that, in the early 1980s, Disney’s non-animated films didn’t have enough variety to be associated with a broad-spectrum studio theme park. So, Eisner and Wells approached MGM Studios to acquire the rights to use the MGM name, as well as a selection of films in the MGM collection. They secured a 20-year agreement with MGM and thus, the Disney-MGM Studios name was born. In 2009, after the 20-year agreement expired, MGM was out and Disney’s Hollywood Studios was in. Also out was the emphasis on showing the goings-on behind the scenes; the Backlot Studio Tour and animation facilities were fazed out in favor of exciting new adventures. Last year, the new Toy Story Land opened on property that once housed sections of the Backlot Studio Tour. Its main attractions are a Slinky Dog roller coaster, Alien Swirling Saucers, and Toy Story Mania! Later this year, a much-anticipated land devoted to the expansive world of Star Wars takes flight. Next time, we’ll take a detailed look at the opening-day attractions at the Disney-MGM Studios. 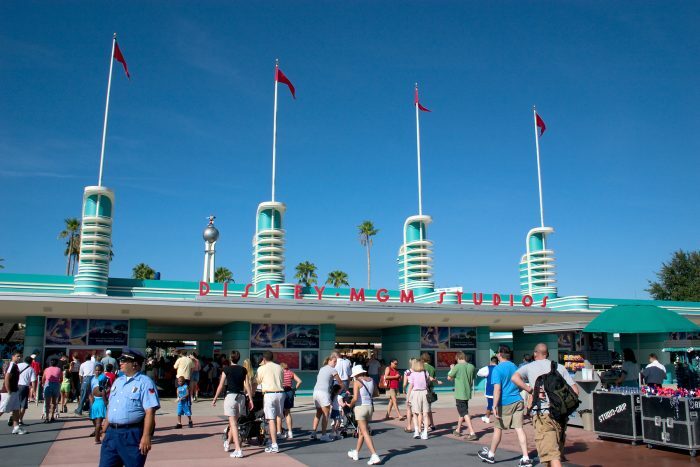 Where do you rank Disney’s Hollywood Studios out of the four Walt Disney World theme parks? How do you think the Studios ought to celebrate its 30th anniversary? Let us know in the comments below.